The tour was excellent and the tour guide, Peter, was outstanding. He not only provided a great tour experience for the points on the tour but he provided other cultural insights into Japan. We even had an unscheduled stop at a local produce market. This was the highlight of my trip to Nagano. This tour was the highlight of our trip. Louki our guide was fantastic and very knowledgeable. 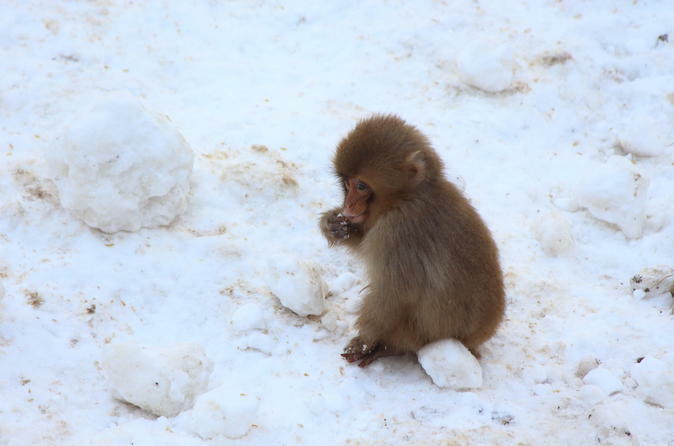 Although it was early April when we were there, the snow monkeys were around to see. They were lovely and fun to watch. The visit to the Zenko-ji Temple was good and it was impressive to see. The sake tasting was great and we learnt a lot about sake whilst we were there.  Overall it was an excellent experience and we would recommend doing this tour. We had a limited time in Japan, but seeing the snow monkeys was something we wanted to make time for. It made for a long day since we came from Tokyo, but we're so glad we went! We loved being outside we went in Feb and had fleece-lined pants, winter coats, snow boots, and hand-warmer packets, which was a nice change of pace from Tokyo. We researched a number of similar tours, but chose this one because visiting the monkeys were scheduled in the morning. The morning definitely had fewer people then compared to when we left. The baby macaques were adorable! The lunch was delicious. We stopped by a fruit market/grocery store and were able to buy a number of treats to take back for our families. The Zenko-ji Temple complex was beautiful. We loved our guide, Peter, he was very informative throughout the tour but not pushy. This tour was fantastic and we highly recommend it. And our friends and family love the pictures! First we went to see the show monkey, and have shoes that not slip on ice or dirty ice. The monkey did not take a bath when I was there, but get some good pictures anyway. After that lunch at a ryokan that tastes very good., Then take bus and train to Nagano where we visited a famous Buddhist temple where our guide telling us many interesting things. And don't forget to go down in the labyrinth, and trying find the door to enlightenment. After that probably with a little tired feet it's time to go to the last event, sake tasting, there are both alcohol and non alcoholic, so everyone can taste. Very good day. It was certainly worth it to see the snow monkeys and visit the Temple. I thought the temple visit was a throw-in but ended up being more than I expected. 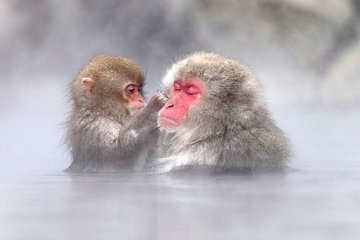 If you go in the winter you only Need to visit one days as the monkeys are always there at that time because of the temperatue of the hot springs. This tour was an easy day trip from Tokyo and a fantastic introduction to the Nagano area! The sites were fun, interesting, and inspiring, the multi-course lunch was delicious, and we were entertained all the while by our knowledgeable and charismatic guide, Fred. Highly recommend! This was a great tour. Plenty of time to see everything. The included lunch was very nice also. Dress warmly and be prepared to walk, although it is a lovely walk through the forest on a very nice trail. A great day out: well organised, entertaining and I learnt a lot! Our Guide was briliant - really knowledgeable and always happy to answer our questions. The snow monkey park was amazing, lunch delicious and the sake some of the best I have tasted. HIGHLY RECOMMENDED. Fun tour! We have an excellent in Peter taking care of us! The monkeys were so cute! Lunch was delicious! The visits to the shrine and the sake tour were great too! Overall japan st a greatly organized tour! Thumbs up!